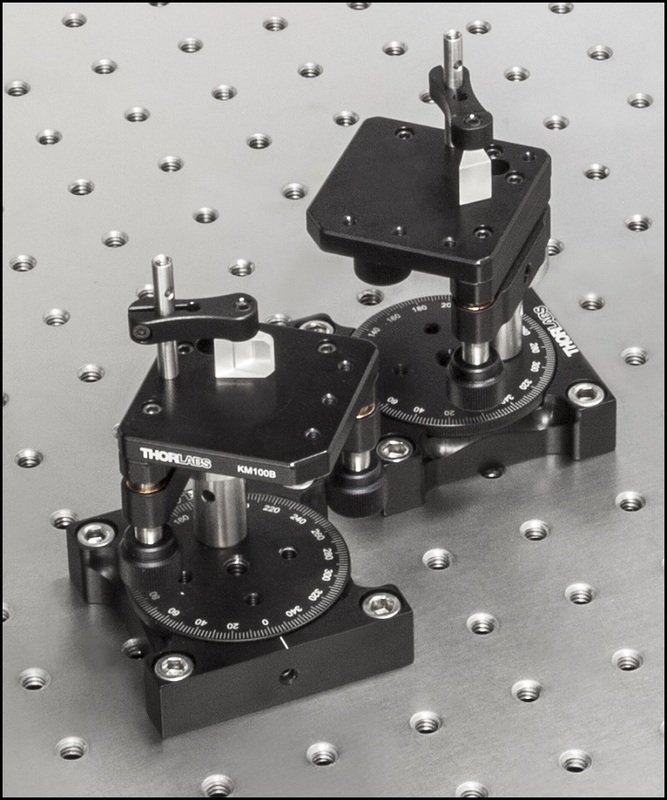 Thorlabs' Anamorphic Prism Pairs are used to transform elliptical laser diode beams into nearly circular beams by magnifying the elliptical beam in one dimension. They can also be used to convert a circular beam into an elliptical beam. 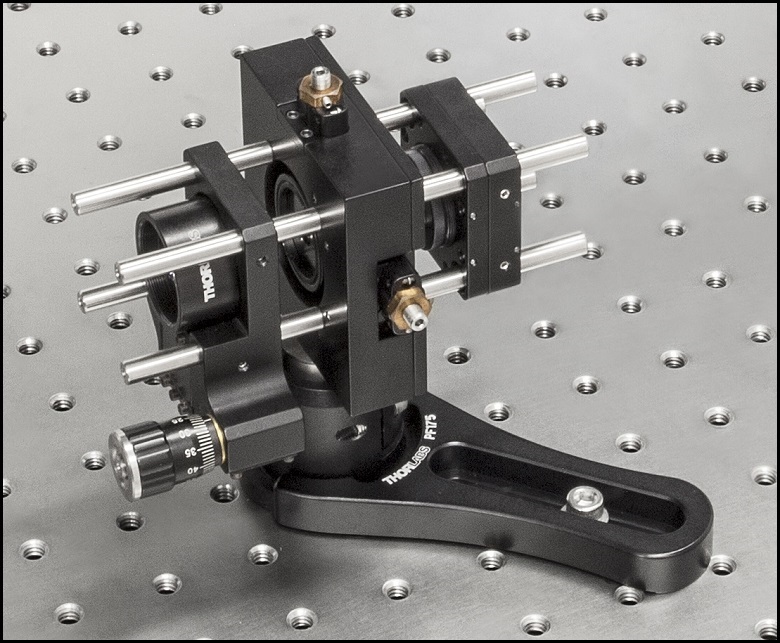 Available unmounted or mounted in Ø1" housings that feature SM05 (0.535"-40) threads on one end, these prism pairs can be purchased uncoated (unmounted only) or with an antireflection coating for the 350 - 700 nm, 650 - 1050 nm, or 1050 - 1700 nm spectral ranges. Mounted prisms can be chosen with magnifications from 2.0 to 4.0. 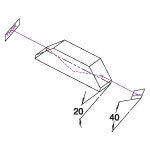 An average throughput of 95% can be achieved if the prisms are oriented such that the incident light enters the prism pair at Brewster's angle and each surface has the appropriate AR coating for the wavelength of the incident light. Please note that the maximum input beam width is 90% of the prism width. For the mounted prisms, the maximum input beam height is given by the entrance opening height. Beam shaping can also be accomplished by using cylindrical lenses, which provide one-dimensional shaping of a beam. 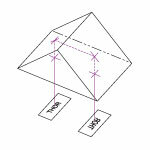 For more information about Thorlabs' extensive line of prisms, please refer to the Prism Guide tab above. L is the displacement between the input and output apertures and is given in the tables below. Please note that the output beam will not exit at the center of the aperture. The graphs below show the magnification factor as a function of wavelength for all of our mounted anamorphic prism pairs. 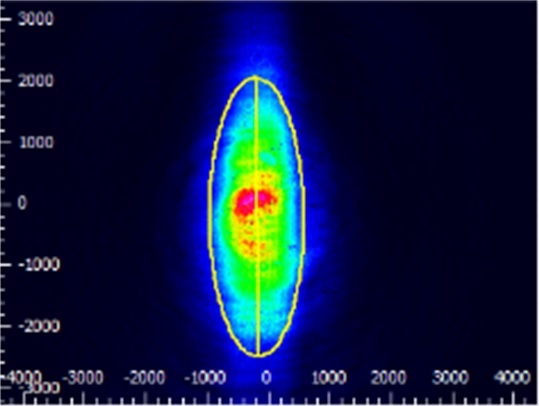 The beam circularization systems were placed in the area of the experimental setup highlighted by the yellow rectangle. 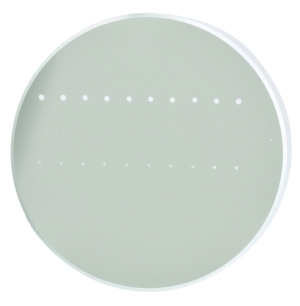 Elliptical beam shapes can be undesirable, as the spot size of the focused beam is larger than if the beam were circular, and larger spot sizes have lower irradiances (power per area). Several different techniques can be used to circularize an elliptical beam, and we experimented with and compared the performance of three methods based on a pair of cylindrical lenses, an anamorphic prism pair, and a spatial filter. 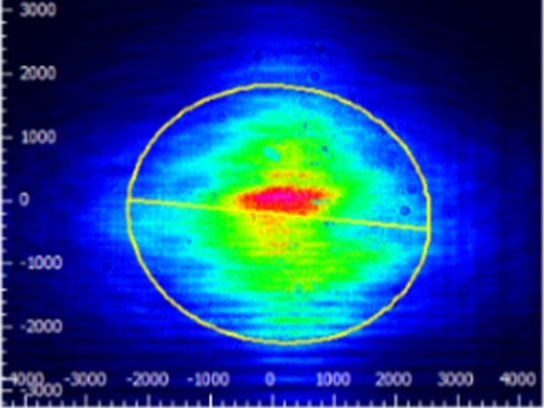 The characteristics of the circularized beams were evaluated by performing M2 measurements, wavefront measurements, and measuring the transmitted power. While we demonstrated that each circularization technique improves the circularity of the elliptical input beam, we showed that each technique provides a different balance of circularization, beam quality, and transmitted power. Our results, which are documented in this Lab Fact, indicate that an application's specific requirements will determine which is the best circularization technique to choose. The experimental setup is shown in the picture at the top-right. The elliptically-shaped, collimated beam of a temperature-stabilized 670 nm laser diode was input to each of our circularization systems. 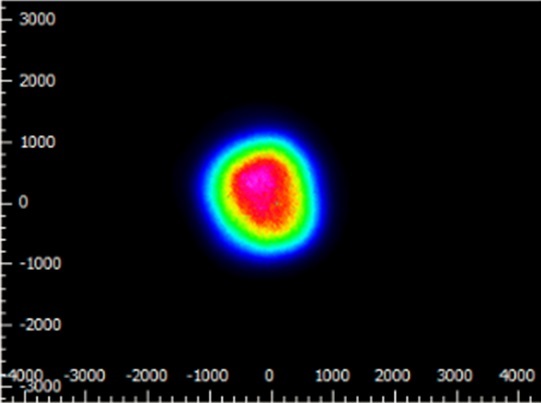 Collimation results in a low-divergence beam, but it does not affect the beam shape. 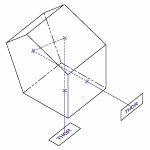 The specifications to the right are measured data for Thorlabs' anamorphic prism pairs. Damage threshold specifications are constant for a given coating, regardless of the magnification or mounting option of the prism. Thank you for contacting Thorlabs. Yes the magnification can be adjusted to less than 2X or even less than 1.4X by adjusting either angles (alpha1 or alpha2). I will reach out to you directly with more information. I was curious if you have a technical guide or note for building Anamorphic beam expander? I need to build custom optics for fixing elliptical beams. With fine details on theory. Best regards. Hello, thank you for leaving your feedback. Currently, we do not have a specific guide for building two-dimensional beam expanders with these since the typical application for anamorphic prism pairs is for beam shaping, which is beam expansion in one dimension. If that is what you mean, then we do have a guide here: https://www.thorlabs.com/images/TabImages/Circularization_of_Elliptical_Beams.pdf. We will reach out to you directly to discuss the possibility of offering custom optics. Hello, I need to use your prism pair backwards to reduce the beam size on the output of a laser diode (520nm). Unfortunately it forces us to work on S polarization, and according to our measurements, the AR coating is totally inefficient with a very bad throughput. Do you have a solution? Best regards. Hello, thank you for contacting Thorlabs. 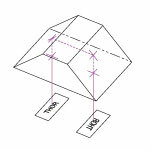 I would recommend using WPH05M-514 to rotate the polarization state 90 degrees which will not change the geometric shape of the beam. Then you will be working with the P state on the prism pair. I will reach out to you directly to discuss your application. Response from Jeremy at Thorlabs: The transmission is estimated to be around 70% at 355nm. 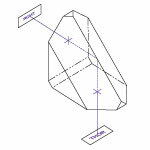 would you be able to supply the prisms with no coating on the surface with Brewster angle incidence? We are planning to use them intra-cavity in a laser system, where we found that the losses of the AR coating at the Brewster side are too high >3% One the side with 0degree AOI we still require the AR coating. Response from Bweh at Thorlabs USA: Yes this is possible. I will contact you. Hi i dont know much about optics. lenses, etc. But would anything u sell be of use for a Home projector. Basically I'm looking for a cheap option to view 21:9 content with a 16:9 projector and read that you can use prism lens for horizontal stretching. 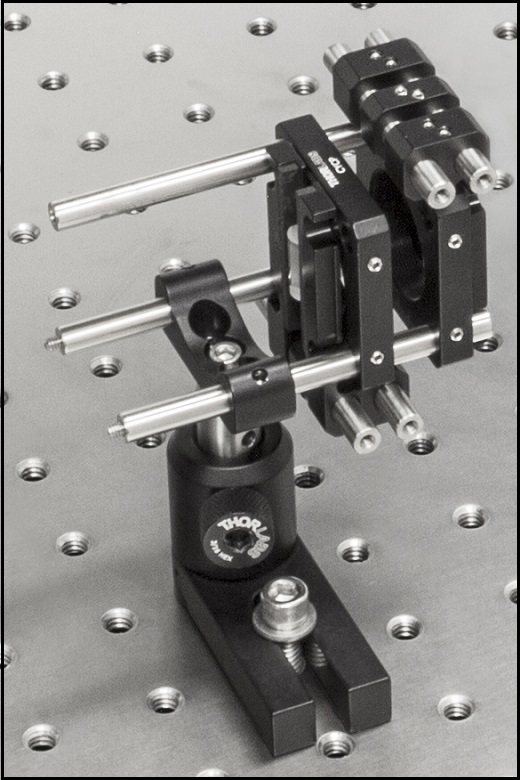 Response from Bweh at Thorlabs USA: In principle you can, as these are designed to stretch a beam or image rays in one direction. But the ones we carry are mostly designed for laboratory use to stretch the elliptical output from a diode laser in one direction. You will have to construct an imaging system to achieve that. 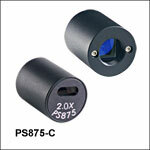 Hello We are currently using the Anamorphic Prism Pairs (PS879-B) for beam shaping of two lasers (766 and 780 nm). Both lasers are combined before entering the prism pairs. 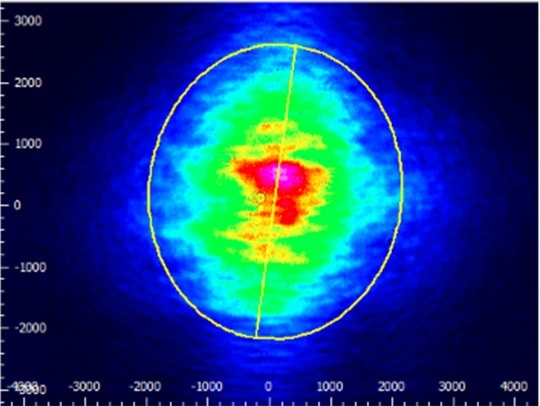 Our question is will these two lasers (which are combined into one single beam) be separated into two beams after passing through the prism pairs because of the diffraction? Response from Bweh at Thorlabs USA: Yes this will happen. The magnification is also wavelength dependent so the beams will be stretched differently through the prism pair. If you can refocus the beam before the shaping optics, a cylindrical lens combination (achromatic) will be more appropriate. Response from Bweh E at Thorlabs: I think it will be better to use the coated ones, since two of the four surfaces will coincide with the optimal AR coating angle. The other two will be off but based on the reflectivity specifications (see "Reflectivity tab at the following link: http://www.thorlabs.de/newgrouppage9.cfm?objectgroup_id=149&pn=PS873-A) you should still be okay. I am using using the F810SMA-635 Collimator(with LPM-635-SMA Diode)with a beam aprox. 17mm in diameter. Are there larger prism pairs or other possibilities for transforming to a cylindrical beam? Response from Chris at Thorlabs: Thank you for your inquiry. I would recommend using a par of cylindrical lenses to manipulate the beam this way. You can use two which are position to share a focal point. If they are lined up the same way, it will expand or reduce the beam in one axis by the ratio of the focal lengths of the lenses. Response from Buki at Thorlabs to sechaniz: As an update, the damage threshold of the uncoated prism is 10 J/cm2, 10 nsec, 10 Hz @ 1064nm. Response from Buki at Thorlabs to sechaniz: Thank you for your feedback. We don't have damage threshold test data for the anamorphic prism pairs, but the damage threshold limit for the coated prisms is determined by the AR coating, which is nominally 100 mJ/cm^2 for a 10 ns pulse or 100W/cm^2 at 1064nm. Based on the information you provided, your beam should have a density of about 12W/cm^2, which is below the damage threshold of the coating. Please contact TechSupport@thorlabs.com if you have any questions. Could you please let me know what is the damage threshold of these prisms? In particular, I'd like to use them with an 808 nm laser diode with 1.2 W of power and a beam of 5 x 2 mm. Would this be possible? Thank you. Response from Buki at Thorlabs: Thank you for using our feedback forum. 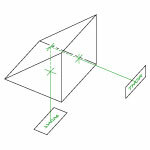 Anamorphic prism pairs can be used in reverse to convert a circular beam into an elliptical one. We do not anticipate any issues. Please contact TechSupport@thorlabs.com if you have additional questions or want to discuss your application further. Any issues if the input and output are reversed (i.e., using the anamorphic prism pair to convert a circular beam into an elliptical one)? Response from Buki: Thank you for your request. We do manufacture custom prisms and we will contact you directly to discuss your application. 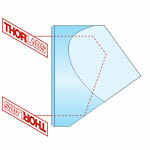 Does thorlab manufacture custom prisms with a wide exit aperture? Im looking for a prism pair which has 10-15x expansion and a 20mm exit aperture. Response from Javier at Thorlabs to kjsong: Thank you very much for your feedback. 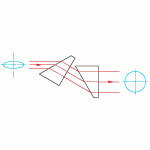 I will discuss adding -A versions of our anamorphic prism pairs with our optics department. I will keep you updated. I am working with 635nm light. 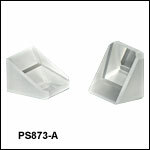 I would like to have PS875-A. But its not listed. It seems odd that there are laser diodes at 400nm and 633nm but no AR coating to cover that range. 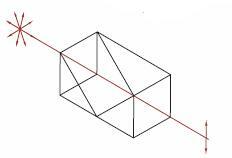 Its 4 surfaces in an anamorphic prism! That reflects a lot of light! A response from Tyler at Thorlabs to rieko.verhagen: We dont have damage threshold test data for the anamorphic prism pairs at 1600 nm. However, the damage threshold limit is determined by the AR coating (if present), which is nominally 100 mJ/cm^2 for 10 ns pulse. Does your application require a higher damage threshold? 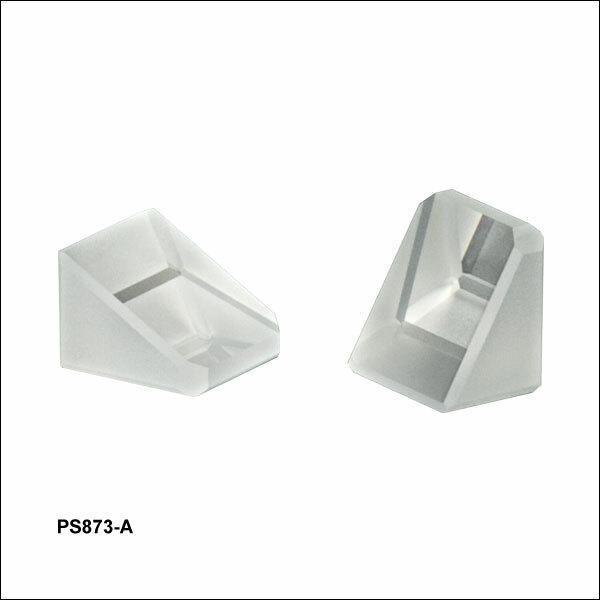 These unmounted prism pairs are available uncoated or with an antireflection coating for the 350 - 700 nm (-A), 650 - 1050 nm (-B) or 1050 - 1700 nm (-C) range. The anamorphic expansion (one-dimensional expansion) can be adjusted by changing the angles and the offset between the prisms. Please see the Beam Expansion tab for details. Refer to Drawing Above. Please note that the output beam will not exit at the center of the aperture. Measured at at 670 nm.